The Headteacher of Beyon Middle School has announced his resignation today. 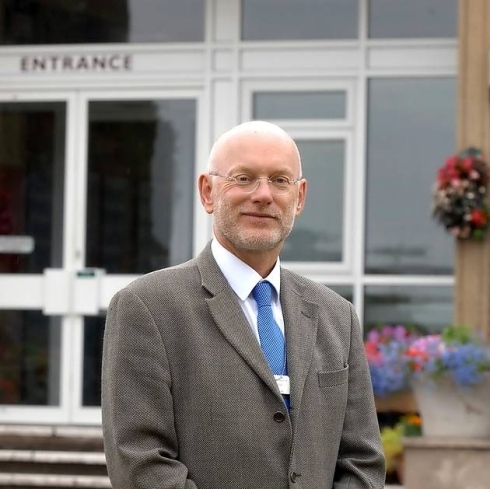 Andy Nicholson who has been a Middle School Head for 22 years in Suffolk will leave at Christmas and the current Deputy will preside over the school until it closes in 2014. In a typically gracious resignation letter Andy Nicholson explains the reasons for his departure saying understandably that he does not want to preside over the closure of the school and that the transition to two tier needs to be handled by people who really believe in it. I have always found Andy Nicholson polite and fair to deal with and he strikes me as a person with true integrity. I wish him well whatever he ends up doing. Do follow Beyton Middle on Twitter @BeytonMiddle if you do not already.